This is a beautiful Hindu temple set on the rocks off the coast of Southern Bali. Visitors can step right up and be blessed by Hindu priests before visiting the temple. Many cafés in the surrounding hills provide refreshing drinks and a stunning view. The lush jungles of Ubud are home to thousands of wild monkeys. Here you can experience them while walking through botanical gardens and viewing stone sculptures. Just make sure you have no food or water bottles on you, as they will be stolen by cheeky monkeys. The Hindu temple on the grounds is a must see in Ubud. This is one of my favorite places that I’ve ever visited. This Balinese Hindu palace features stepping stones on a central koi pond, picturesque bridges, gorgeous fountains, and a glimpse into the historical Balinese life. The royal family of Bali really knew how to live. A small lake surrounds the palace and green gardens complete the breathtaking panorama of the grounds. The largest Buddhist monastery in Bali welcomes visitors as well as those who wish to take classes on meditation or stay and live like a monk for some time. It offers countless statues to view and gardens to wander. 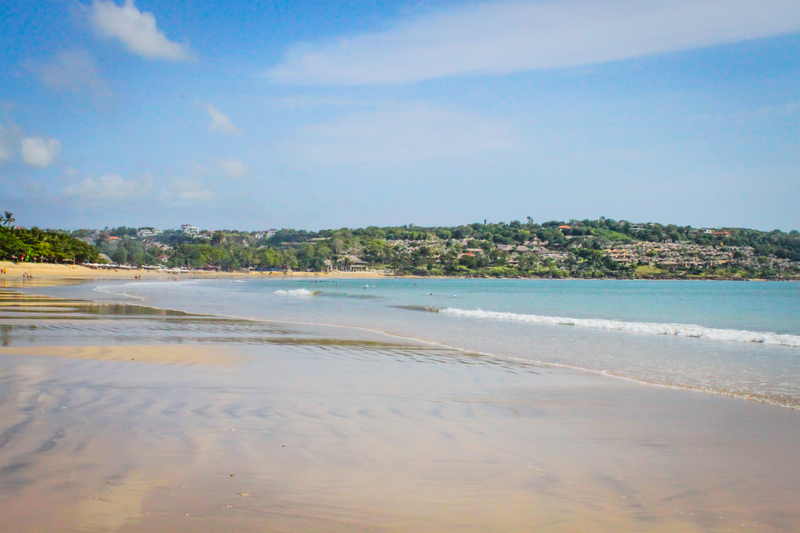 If you’re in South Bali, skip Kuta beach and head to Jimbaran. This is one of the cleanest beaches in South Bali (much cleaner than Kuta) and has great fresh seafood, beach dining, and nightly performances of traditional Balinese dance. With not one, but two shipwrecks, a coral sculpture garden, and an impressive drop-off all in the vicinity, Tulamben is the place to be for diving, and reasonably priced to boot. The USS Liberty Wreck is ranked as one of the best diving spots in the world and the marine diversity of the waters make it a hot spot for snorkelers also. The only downside is the large pebbles of the beach aren’t kind to sunbathers. The sandy beaches of Amed are much more hospitable for those who want to lay out and watch the world pass by in waves. 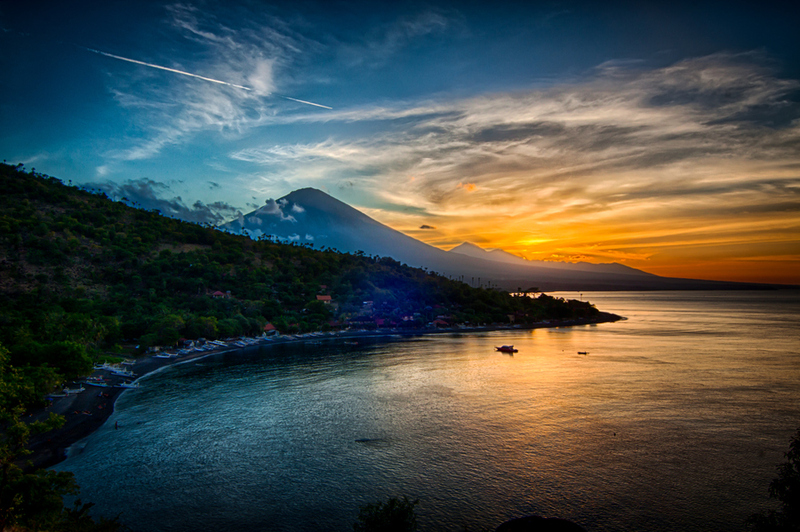 It also has access to many of the same diving sites as Tulamben.